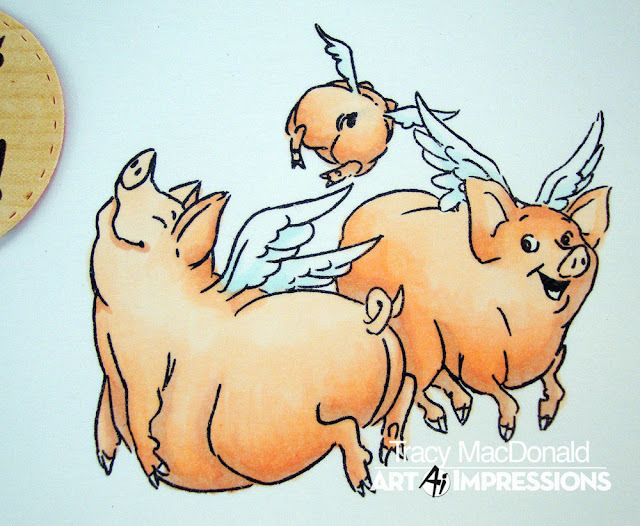 Porkers with wings. Can't help but giggle can you. These flying piggies are part of Art Impressions Ham It Up Set. 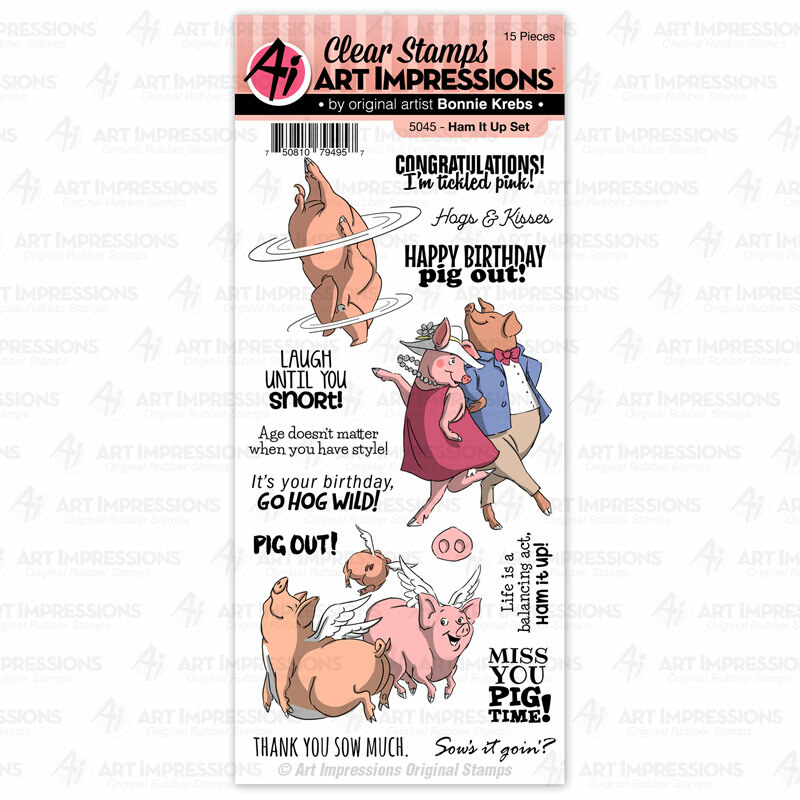 Stamps--Art Impressions "Ham It Up Set"